Johann Sebastian Bach (1685 - 1750) was better known as a virtuoso organist than as a composer in his day. His sacred music, organ and choral works, and other instrumental music had an enthusiasm and seeming freedom that concealed immense rigor. 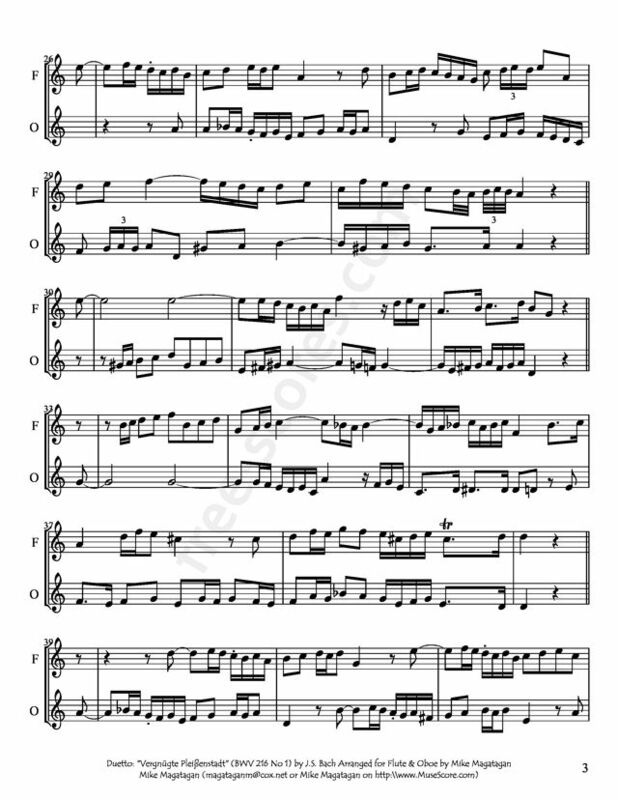 Bach's use of counterpoint was brilliant and innovative, and the immense complexities of his compositional style -- which often included religious and numerological symbols that seem to fit perfectly together in a profound puzzle of special codes -- still amaze musicians today. Many consider him the greatest composer of all time. 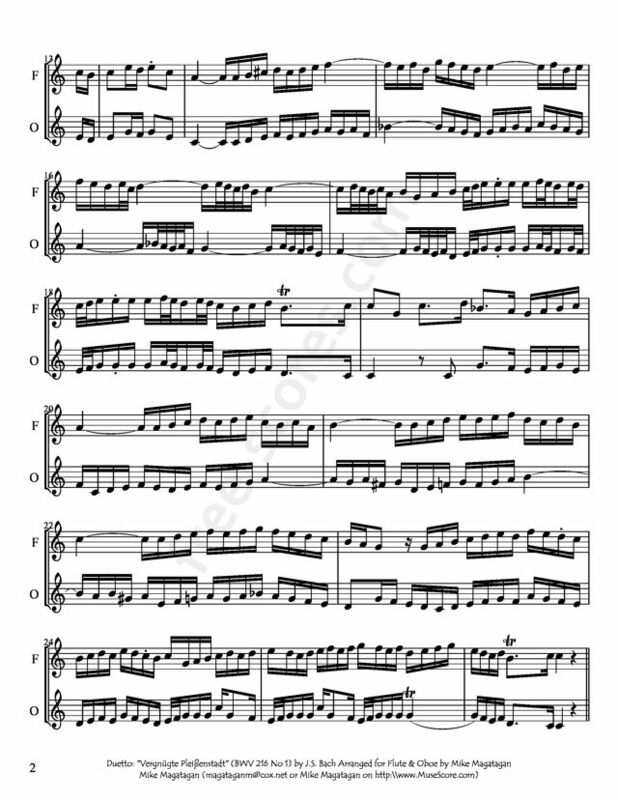 Vergnügte Pleißenstadt ("Who doth his joy in thy great splendour take"), BWV 216, is a secular cantata composed by Johann Sebastian Bach. 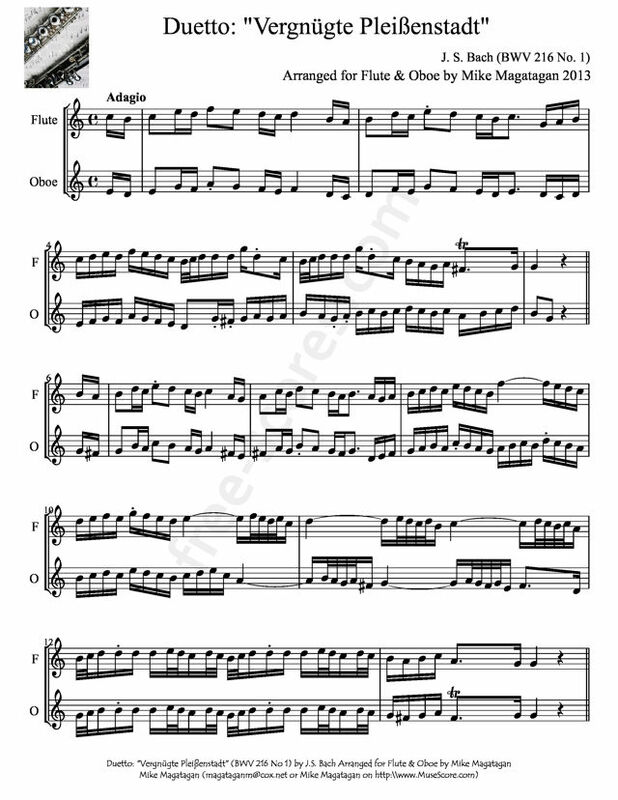 Bach composed this cantata for the wedding of Johann Heinrich Wolff and Susanna Regina Hempel. 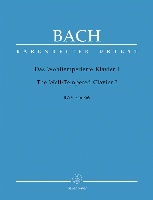 The work was first performed in Leipzig on 5 February 1728. 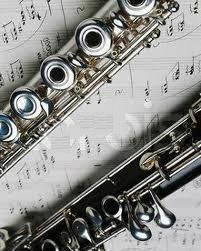 Although originally created as a Duetto for Soptano & Alto, I created this arrangement for Flute & Oboe.